ADIRONDACKS, USA – Golf courses and hotels in the Adirondacks, located just across the U.S. border in northern New York, have partnered to offer Canadian at par golf-and-stay packages. Golfers can save 25 percent on hotels and greens fees. Packages begin at $170 for one night’s lodging and two days of golf. 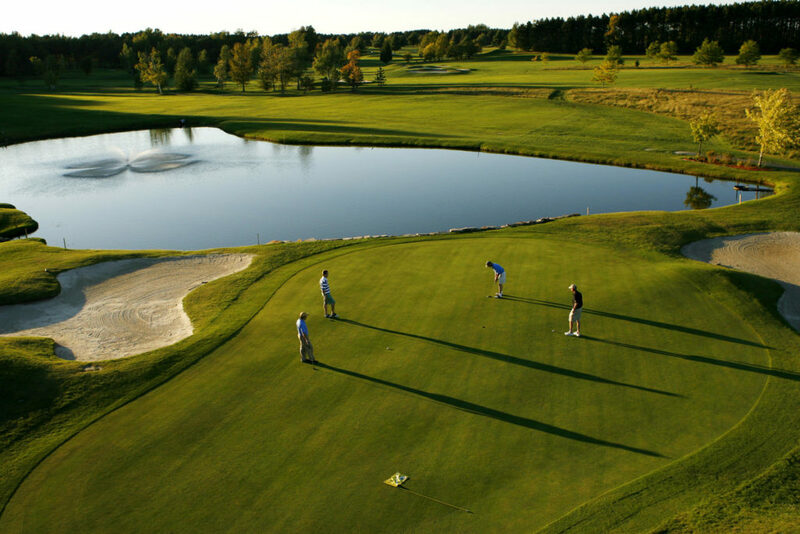 The promotion is aimed at Quebec and Ontario golfers, many of whom already enjoy these classically-designed courses and spectacular scenery, but will welcome the added savings by paying Canadian at par rates. The dollar-for-dollar deal includes 72 challenging holes at four picturesque courses, paired with select lodging that offers plenty of amenities. Drive time between the courses and Ottawa or Montreal is two to three hours. Golf and stay packages are valid through the fall and can be booked at GolfAtPar.com. They include one- or two-night accommodations, two or three days of unlimited golf, and guaranteed tee times when booked a week ahead. Golf bags will be stored for free at the clubs, and the cart is free for the first round each day. Participating courses include the beautifully manicured 36-hole Malone Golf Club, designed by golf architect Robert Trent Jones. The club was awarded 4.5 stars by Golf Digest and received the “Good Service” seal for both the East and West courses. 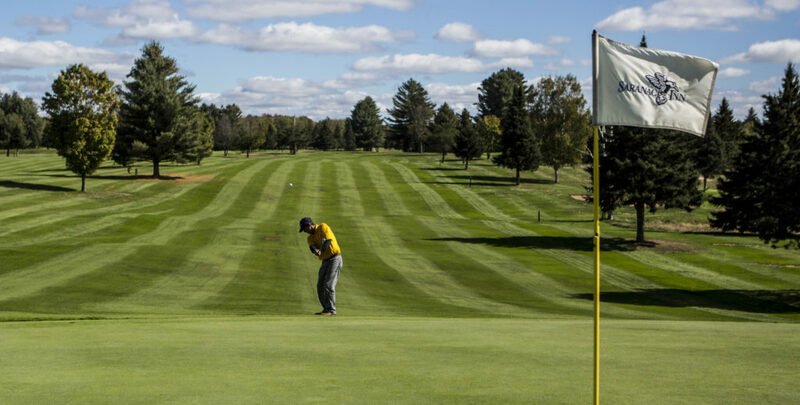 Not-to-be-missed courses featured in the promotion include the Saranac Golf Club, an 18 hole, par 70 course designed by Seymour Dunn in classic Scottish style. The course is hailed as the most immaculately maintained course in the Adirondacks. In addition, the 18 hole Tupper Lake Golf Club is a 6,153-yard mountain course designed by Donald Ross with mountain and lake views. In addition to golf and stay packages, the Tupper Lake course offers greens fees at par. 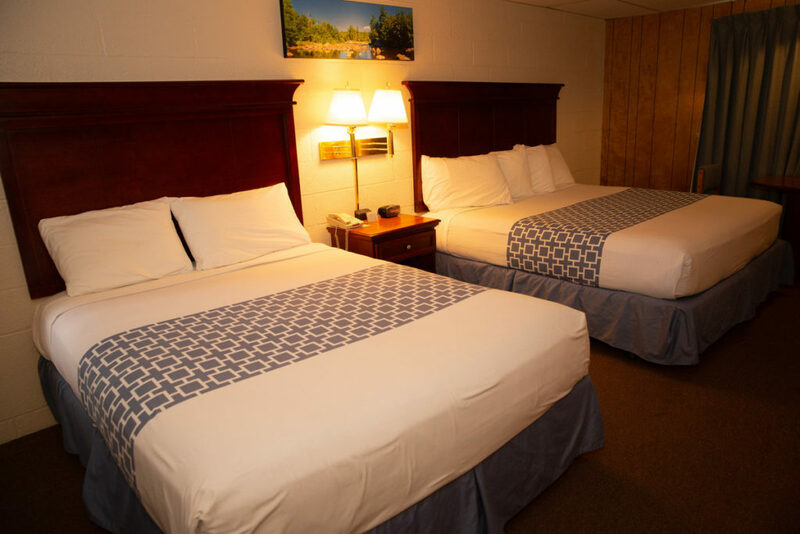 Hotels featured in the Golf At Par offer include Holiday Inn Express, Malone EconoLodge, Red Roof Plus and Suites, Four Seasons, Akwesasne Mohawk Casino Resort, Shaheens Adirondack Inn and Dreamland Motel. “This Canadian discount is just one more reason to visit in the Adirondack and Malone regions, which offer world-class golf, affordable accommodations and spectacular scenery,” said James McKenna, the president of the Regional Office of Sustainable Tourism (ROOST). ROOST is the accredited destination marketing organization (DMO) responsible for promoting Essex County, Franklin County, Hamilton County, the town of North Elba, the town and village of Tupper Lake, Harrietstown, Lake Placid, Piercefield and Saranac Lake, New York, to the traveling public. For more information about the organization, visit roostadk.com. The Adirondacks is a six million-acre forest comprised of over 2,000 miles of hiking trails, 46 peaks over 4,000 feet, 1,200 miles of rivers and an estimated 3,000 lakes and ponds. The region provides the ideal backdrop for both adventure-seeking outdoor enthusiasts and for those looking for quiet solitude in nature. Within its borders are towns and villages with vibrant main streets, lodging, restaurants and breweries to round out your stay.